news The Australian Bureau of Statistics (ABS) has announced that it will retain personal data collected in the 2016 Census of Population and Housing. Notably, the move goes against the recommendation of a privacy impact assessment report the bureau commissioned 10 years ago. Specifically, the ABS said it will keep the names and addresses to provide a “richer and dynamic statistical picture of Australia” through a combination of census data and other data. The ABS stressed that existing practices and obligations will ensure that users of census data will not be able to identify any individual or household. However, in 2005, the ABS commissioned a privacy impact assessment report headed by Nigel Waters – deputy Australian Federal Privacy Commissioner from 1989-97. Waters concluded in the report that retaining personal data posed privacy risks for Australians. 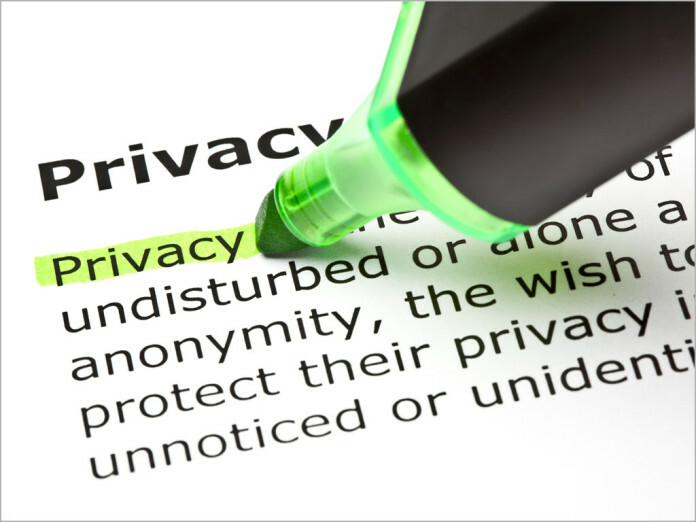 The ABS has now undertaken a more recent privacy assessment which found that retaining names and addresses has “very low” risks to privacy, confidentiality and security. The ABS is able to safely manage personal data through robust data management and information security practices, the assessment concluded. According to the ABS, the assessment process included consultation with the Australian Privacy Commissioner, as well as state and territory privacy commissioners. “This decision is consistent with the prescribed functions of the ABS, set out in legislation, and complies with other necessary legislative and privacy requirements,” the bureau said. Do they already have names and addresses to which / whom they post the census? If not, if people don’t like giving out that info, then can’t they do the equivalent of ‘donkey vote’ with fake or blank info? Also, if they’re not storing names and addresses linked to the other data and having the names “anonymised”, what value is this information to the ABS? How many Renai’s are there living in Avenue’s? Is there a correlation between the first letter of a child’s name and the last letter of the name of the street on which they live? If the Police are attempting to arrest a John Smith living on Snowden Parade, how likely is it that they’ll be going to the correct Snowden Parade and arresting the desired John Smith? I sense a great disturbance in the force ;). If you want to trounce all over folks privacy its a good way to have people screw with your data as a result. Yes, the quality of the data they collect also relies on the public trusting them, anonymity was part of the contract we agreed with them to earn that trust. Actions like this are in violation of that. It’s time we stopped letting authoritarians run everything and actually recovered some of our freedoms. I’m just wondering how many (more) hackers are now going to try to steal this data. Yet another reason to go camping on census night. Privacy is turning into a joke in Australia. Along with the scramble for metadata access, we already have government departments swapping info they aren’t entitled to release. Australia is one of the very very few nations (I can’t at the moment think which the other one is) which DELETES all personal info from censuses. Do youse know how much this impedes genealogical research? In civilised countries (eg: UK, the country YOUR ancestors probably (85% confidence) came from) Census Data is released to the public domain after 100 years, and is THE Most Extensively Used Tool for genealogy. It’s OK if youse lot DON’T want to chase up your family history, but your petty fears over privacy are causing huge grief to others who would like to document their personal histories, some of which actually form part of AUSTRALIA’s HISTORY. Instead of shrieking like a mob of galahs in a tree, have a think about 100 years and its impact on anybody’s personal privacy, including yours. You’re not arguing the against the point that privacy impact assessment recommended against the retention of personal data. Additionally, 100 years ago there weren’t millions of databases already keeping much of the names / address data. Release it to the public domain from the drivers license database in 100 years, or any of the other myriad governmental database that his this information. The difference with a census is that census data is much more personal than “I have a drivers license” or “I pay council rates”. The potential to link the data with things such as income or religious beliefs is the issue, in my opinion. There is also the issue of timing. Is the ABS allowed access to metadata without a warrant? Any organisation with political savvy wouldn’t be making privacy waves at this point in time since everyone has the points of their respective spears well honed. If you can, just think carefully about accessing a drivers licence database this time next century. If you can, just think carefully about a myriad governmental database which contains your place of residence on a particular night every 5 years, along with your family relationship details. Cast your mind back 100 years and just think carefully about accessing a genealogy database via the Internet. Genealogy research is an interesting angle, hence why I replied to your original comment. What value is it? To what aspects of society does it contribute and to what scale does it make a difference? (genuinely asking with an interested tone for the purposes of actual learning and potentially making a difference to how I complete the census). History. Personal and national. Pure and simple. Without history we are nothing. Genealogy contributes to all aspects of society, and makes a difference by showing us how and why we are what we are now, both as persons and as citizens. Genealogy is the history you don’t see in text-books or in Social Science classes. Almost all governments have chosen the 100 years to overcome any reasonable privacy concern: those who make it past their Century are pretty well protected by family anyway, and usually mature enough to care less about dubious reputations. Any Centenarian is at least 2 generations separated from the current world, and memories have faded. Our connection with our past is one of our most enduring possessions, and the vast majority of our grandparents are more than happy to chat with younger folks about life and times now long gone. Giving birth in a bedroom on a farm with no doctor or nurse because the baby arrived 2 weeks early, but it’s OK because it was the 7th child… Even I now take pleasure telling grandkids (teen-age +) what it was like before transistors were invented, when all laundry had to be done in a bathtub, and the topical wound dressing of choice was Tincture of Iodine (in 100% ethyl alcohol). And I can tell kids what it was like living in a land far far away, and what schools were like then, and how travelling on a passenger steamer was far better than air travel now. We are not the only civilisation with genealogy. Every race has it, or has had it: many of them now have troubles teaching the oral histories to their techie children who no longer get memory training. But those people can give accurate recollections of their ancestry with very few errors for 20 or 25 generations back. It’s a point of pride… Australia has cut its citizens off that knowledge for far too long, and the information can now never be recovered. My offspring have their ancestry easily accessible thanks to the clear wisdom of other governments. But their offspring will have huge problems tracking their Aussie partners’ ancestry if those families have not kept private records. WTF does census information have to do with ancestry? Roughly the same relationship that “schools” have to do with “learning”. Those who want to support genealogy research have had the choice in the last 2 censuses to opt-in and their name identified records were kept for release by archives in 100 years. Tellingly only half the population said “OK”. The proposal for the 2016 Census is that all name and address information will be retained without the choice of opt-in or opt-out.